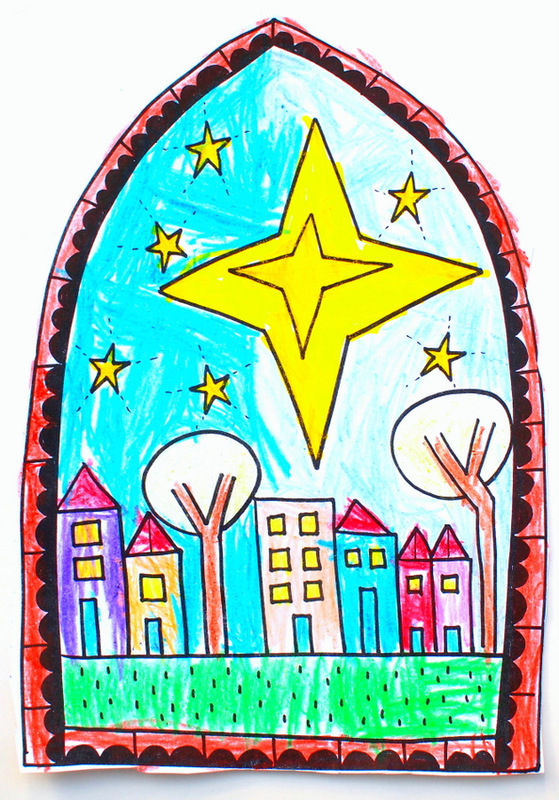 Last year I doodled these free Christmas ornament coloring sheets. I uploaded them onto the blog on a whim and was pleasantly surprised with how popular they turned out. :) So this year I thought it would be nice to doodle up another coloring sheet and then offer it here again! If you'd like to print out this coloring sheet, be my guest! 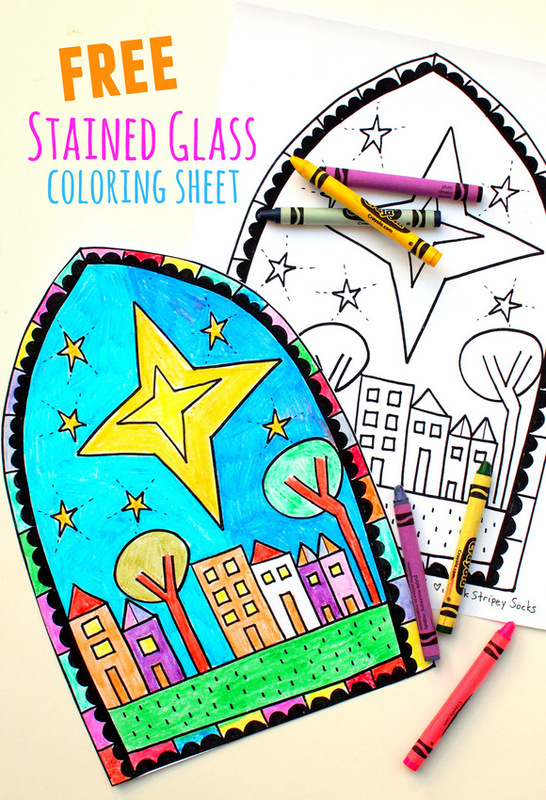 You can get the free stained glass Christmas coloring sheet here! 2. Grab your crayons and color everything in! 3. Once you're done coloring, cut out your design! 4. 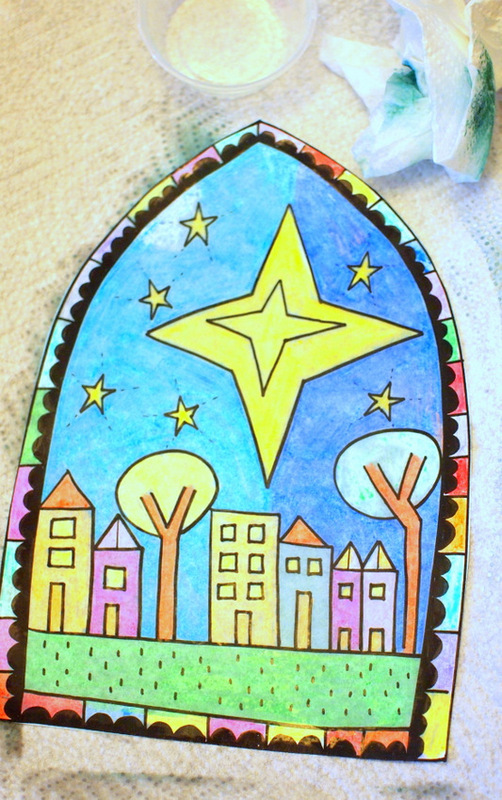 Now it's time to transform your crayon artwork into "stained glass." Grab a tray or baking sheet. Line it with paper towel (to absorb the excess oil.) Pour a tiny bit of baby oil into a container. Dip a paper towel into it and rub it all over your artwork. (Careful now- Just a tiny bit will do! We don't want it to be super oily, just give it a bit of shine.) Your paper will soon become translucent. 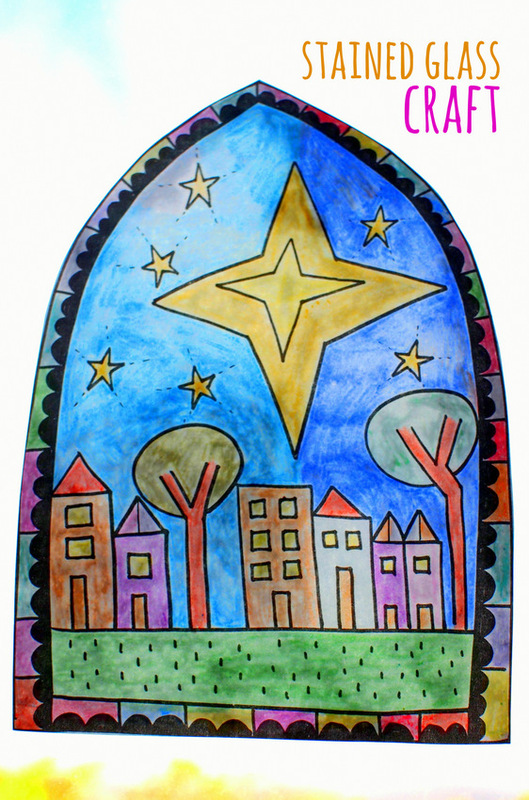 Once the oil dries, tape your art up to a window and enjoy your stained glass masterpiece! I hope you have a wonderful time coloring and crafting with your family this holiday season! And if you try this activity out, I'd love to see the results!